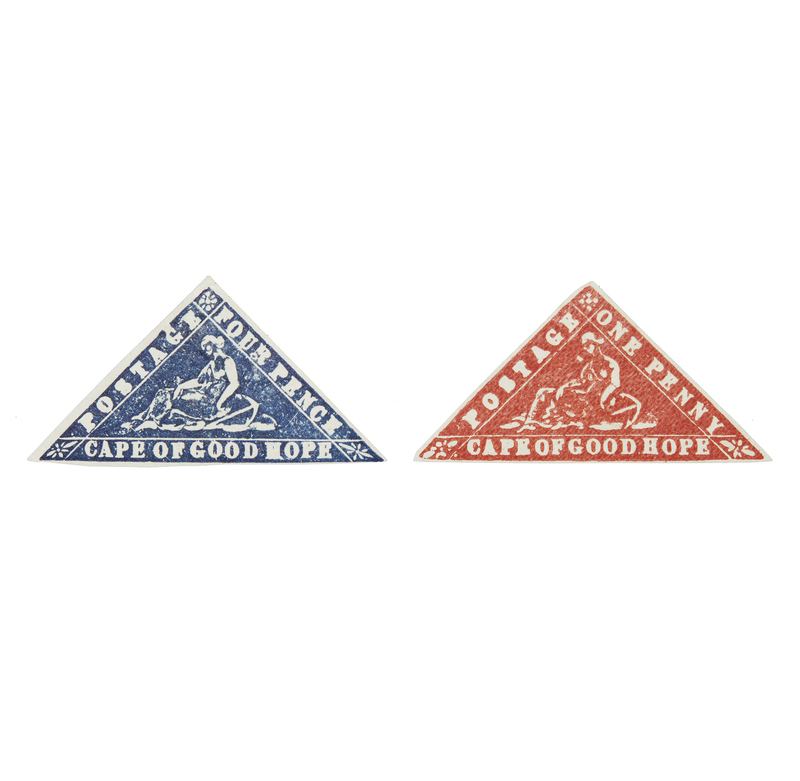 Cape of Good Hope stamp printed by Saul Solomon and Company, the so-called, "Wood Blocks." Official reprints. #7 and #9, postally valid. Very Fine. Mint lh. Processing and shipping within the continental U.S. 50¢ plus 1.5% replacement cost insurance. Stamps are in Very Fine condition. Witherell's strives to provide as much information and photographs as possible but encourages in-person inspection by bidders. Condition statements are only for general guidance and should not be relied upon as complete statements of fact and do not constitute a representation, warranty or assumption of liability by Witherell's. All lots are sold "AS IS" under the Terms & Conditions.